Seven minutes to go before this weeks Great British Bake Off and I have just finished putting the last bits of my windtorte together. A windtorte is made up of two types of meringue French and Swiss. The base, sides and top of the wind torte is made from a tradition French meringue which is egg whites and sugar whisked together and then baked. 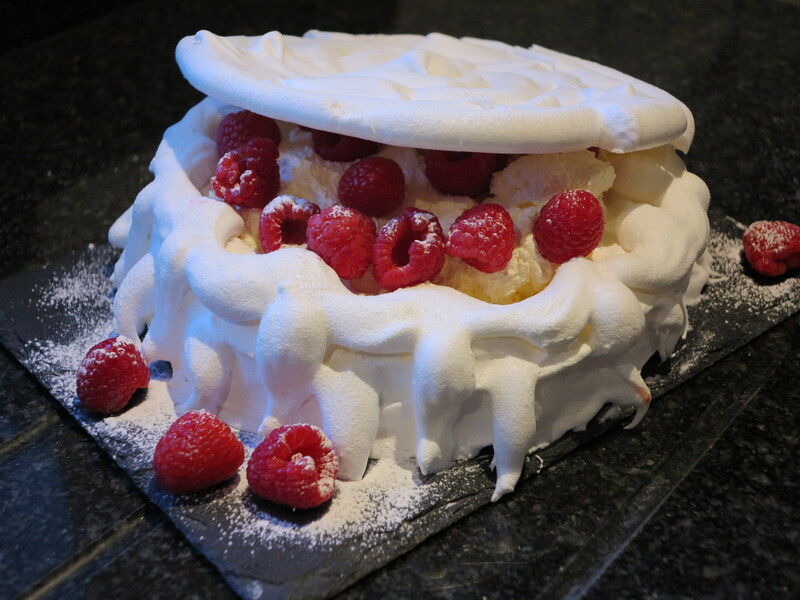 Then the torte is sealed by using a Swiss meringue. A Swiss meringue is made on the hob by continually whisking together egg whites and sugar. 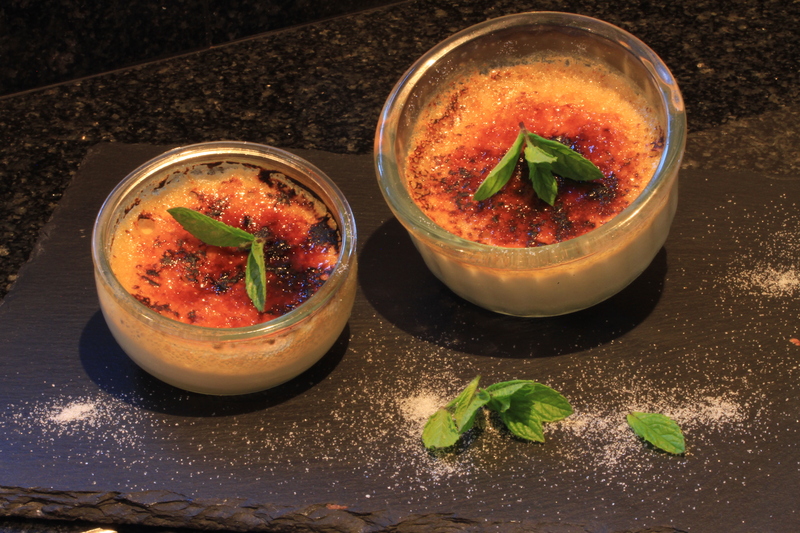 Creme Brûlée was my first bake this week which I have made before for my blog. As the Bake Off contestants came up with some different flavours I thought I to should also come up with something so I went for a mint infused Creme Brûlée. My second bake was the showstopper a baked lemon cheesecake wrapped in chocolate. To wrap the chocolate I used bubble wrap after having seen a video that a friend of my mam’s posted (Moyra Sammut). 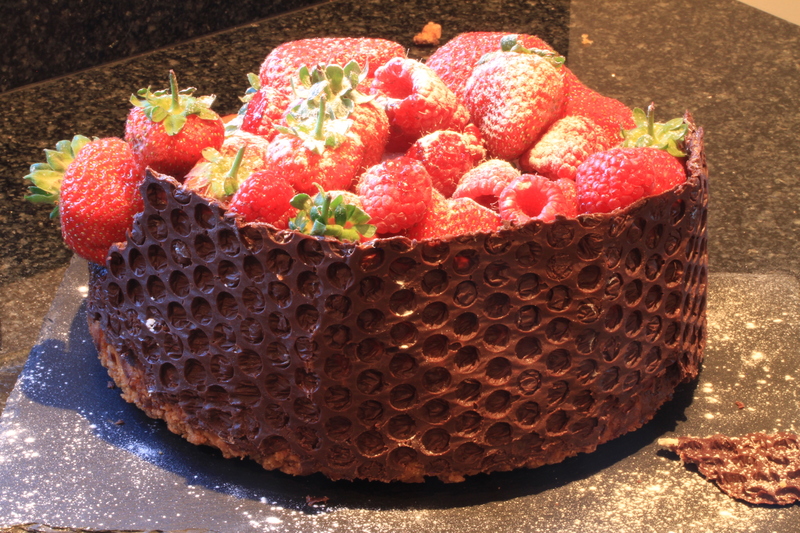 I need to practice doing it a bit more but this technique could make some stunning cakes and puddings in the future. I’ve really enjoyed this weeks bakes as they were a little bit easier than last week but there were some new techniques to learn at the same time.